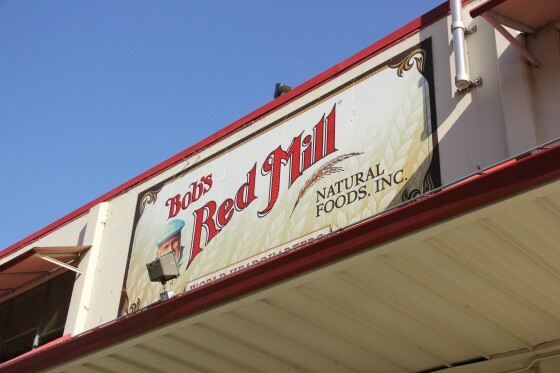 Friday morning started with a behind-the-scenes tour of Bob’s Red Mill. I have been a fan of Bob’s products for some time but after seeing the facility, meeting the people, and hearing the passion that oozes from Bob, I love them even more. The tour was incredibly awesome. 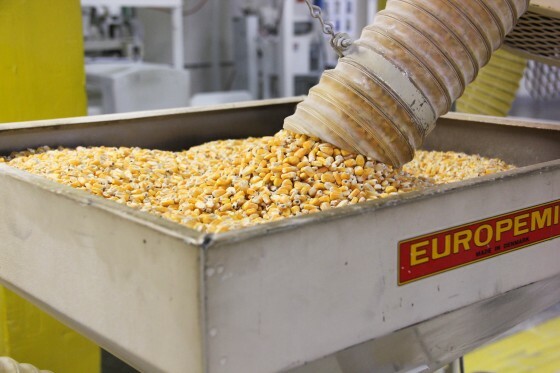 It was a pleasure to see how some of my favorite baking products are made! And a big thank you goes to the bloggers who came along on the tour, as well as Bob’s Red Mill, who sponsored my attendance at IFBC! 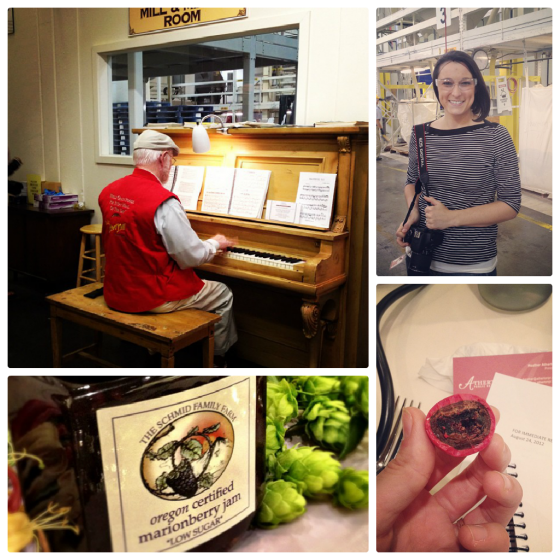 top left: we walked in to Bob’s Red Mill to Bob playing the piano for us. what a treat!//bottom left: a local Oregon berry, the marionberry was so good!//Friday afternoon was filled with so many treats during a “live blogging” event which can only be described as speed dating for food. It was incredibly fun. 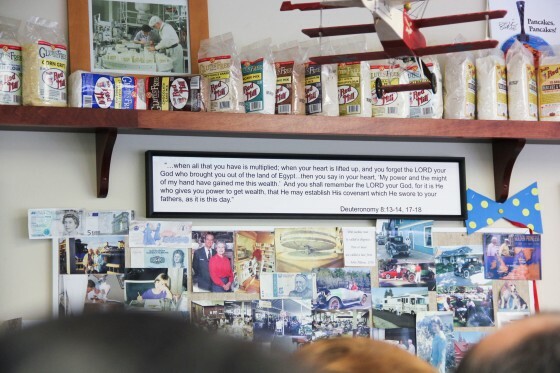 above: corn in the Bob’s Red Mill Factory//below: a section of Bob’s (awesome) office that is full of memorabilia, products and this piece of Scripture from Deuteronomy 8:13-14, 17-18. MailChimp sponsored the Saturday after party which included chimp hats, a photo booth and wine//actually, the whole weekend was wine filled, Oregon produces some amazing Pinot Noir grapes! The conference concluded Sunday but before it was over, Claire and I sneaked out for a few minutes to catch our taste of the local favorite: Voodoo Doughnut. They are famous for their maple-bacon bar and now I know why. When you make it to Portland, do not leave without one of these. (see below for a better shot.) And yes, the half-hour wait is well worth it! Grab yourself a cup of coffee across the street while you wait. //Friday night Claire and I got a little lost in Portland but we made our way to the well-known Henry’s Tavern which provides an impressive beer list and gorgonzola fries, which we completely devoured. Thank you to all of the amazing sponsors. Can’t wait to see you next year in Seattle! Looks like fun! 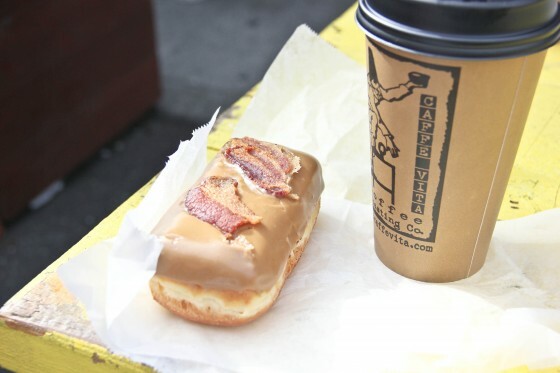 And a maple and bacon doughnut, ya, I’d easily wait 30 minutes for that too! Man, my last trip in the US was to Seattle and Portland and somehow I didn’t know that there was all this amazing food there. The maple bacon thing! Oooooh. I hope you can make it to one in the future, I’d love to meet you! I wish I could have been there! Next year is a must. Yes! It’s in Seattle in September next year, I’m almost 100% sure I’ll go! You got to meet the actual Bob?? How cool! Sounds like a great time! Yes, he gave us the tour, it was awesome! I’m heading out to Portland tonight for part of the long weekend. Your post has me even more excited!!! I cannot wait for my stop at Voodoo Doughnuts! Yes, it’s a must, can’t wait to meet you! Wow, this looks like it was an incredibly fun opportunity! Good for you, Cassie! Thanks for sharing all these great photos, too. Makes me want to visit Portland myself! Yes, it was such a great city! What a fun weekend, so jealous! I need to find a way to attend of of these! Definitely! Next year’s is in Seattle in September! Hope to meet you soon. What a fun weekend, I love following along via Instagram! I had such a blast hanging out with you at IFBC! I absolutely loved the Bob’s Red Mill tour. Looking forward to many more food conferences to come! It was so fun..what a great weekend. Looks like you had a time exploring PDX, such a great place!! This looks like so much fun! 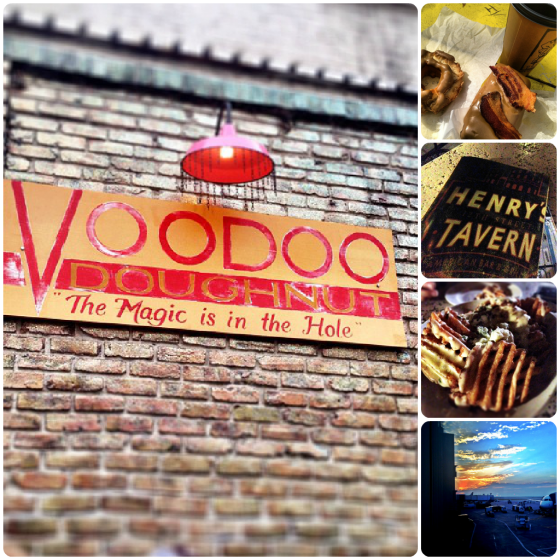 I keep hearing about Vodoo doughnuts…yum! What a cool place to visit! They’re going to be in Seattle next year? I might just have to make it out there!! I’ll be in Portland in a month and I cannot wait to go to some or all of the places you went!! so exciting! Yep, in September and I’m nearly 100% certain I’ll go. Hope you can make it too! I so wanted to go, but after I blew my wad on BlogHer in Seattle it just wasn’t in the cards this year. 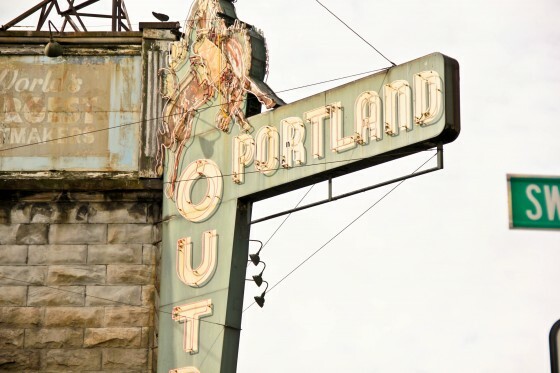 Portland is definitely at the top of the list of places to go visit though! Between you and Claire’s photos on Instagram, I am so jelly! It looks like it was a fun and tasty trip!! How fun! Jason and I definitely need to make a trip out there. 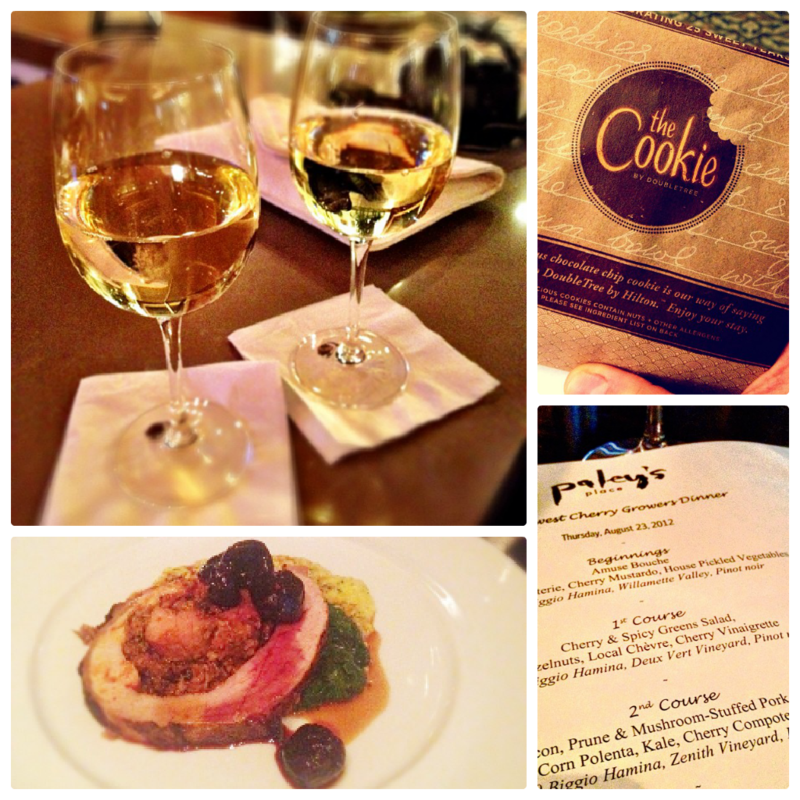 We love finding cities centered around food! I am so jealous of this trip! I’m glad you had so much fun!! Isn’t Portland fantastic!? I loved our weekend trips down there so so much… and the food!! Loved your pictures, glad you had a good time! I was just in Portland too! Visiting family…my latest fave find was “Salt & Straw”. OH MY!!! 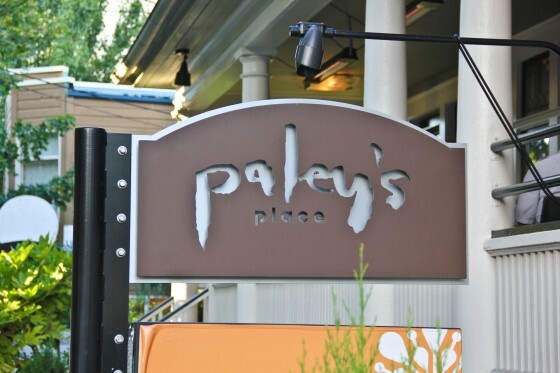 i’m dying to get there–heard such great things about Portland! glad you had fun! i can’t believe I missed this!! SUCH A FABULOUS time with you! !